One of our class projects is called Anything Goes. I have become more than a little interested in images—typography, portrait, and digital—that have the feel of ink in water, ink bleeding into wet paper, and spattered ink surfaces. There are some interesting online Photoshop tutorials that I used to create my Think About Ink Web pages. I would like to add a page of photos and video that I take of home ink and watercolor experiments. The site is still in its beginning stages but should progress as I learn more about Dreamweaver and Flash. The one thing I DO know is that the Adobe CS4 software has grown far past my non-Intel Power PC computer so I’ll be shopping for a new Mac later today! 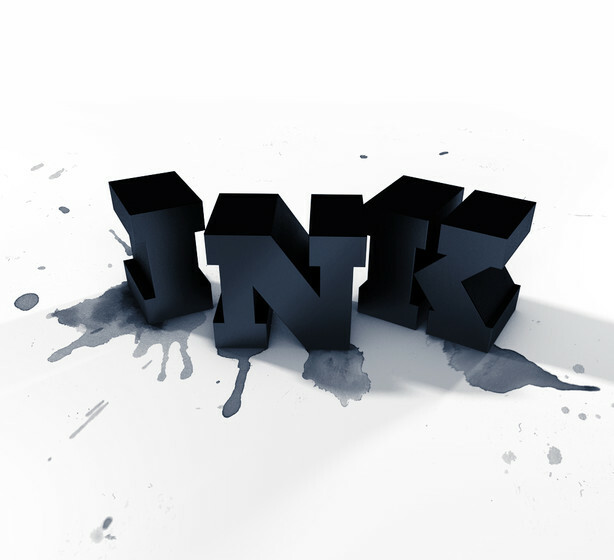 Craig Ward created this word image, "Ink." I’m interested in visual effects produced by mixing ink and water on paper. 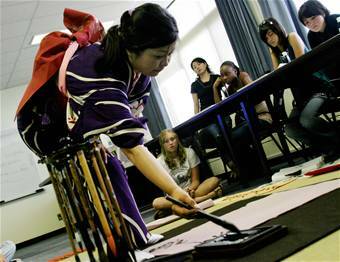 I took calligraphy lessons from Kunii Takezaki a couple of years ago, when I spent a month in Okinawa, and those lessons helped me appreciate the texture that wet and dry brushes can convey. I also appreciate the ink and water photographs of Shinichi Maruyama. 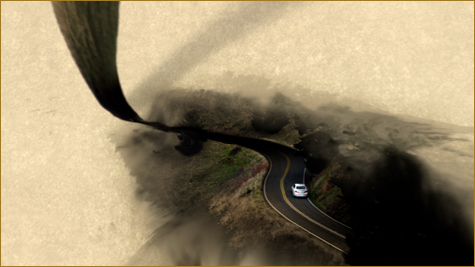 The Digital Domain Infiniti automobile advertisements, Master Driver and G Line explore the morphing of bleeding ink with video footage. This is a frame of the G Line television commercial. I would like to take ink-in-water photographs, as well as, create digital images in Photoshop to create a similar effect. Integrating that design concept with an inspiring topic is a future challenge.